Hey guys I'm new to the forum and this is my first post so please excuse what may seem like ignorance I'm just need to this stuff. 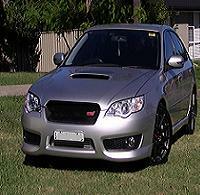 I have an 06 GT STI and want around 220atw. I say 220 because I have read that's the maximum amount the car can handle before you start to reduce its life span at a rapid rate. Is this true even with a safe tune or am I off the mark? In order to get my goal of 220 could I buy jdm wrx sti twin scroll headers and jdm wrx sti twin scroll turbo with sti tmic plus tune? How much would that be all together? I know a decent tune is $1100. I am suggesting this because it would keep the car looking stock which would help with resale and keep the ops off my back. Would this work or am I off the mark? Would the engine cover be able to stay as is or willit need a replacement? Got any pics of your ride? 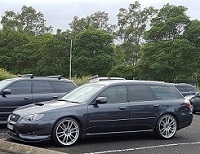 Is your 06 a pre-facelift or post facelift? If you dont know, is it s 2.0L or 2.5L? Im guessing because youre looking at twin scroll set ups its a pre-facelift 2.0L. 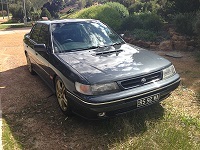 I cant comment on whether the headers and turbo will fit, but i can say the STi intercooler might not fit easily. To be honest i highly doubt it will be an improvement on stock though, and if it does have any benefit, it will simply be little bit better at cooling on very spirited drives, it wont make you any noticeable power difference. Ill get pics up soon works been crazy atm! Damn your killing me haha oh ok well im just trying to get the power i want at once as opposed to having to get it re-tuned on multiple occasions. I want to spend around 7-8grand so what kind of setup would you recommend? Should i start from the bottom up or go for an expensive alternatie which isnt too common? Friend of mine suggested start from bottom up and run the turbo on18psi down till it blows then buy a new one. Is that common? Best person to speak to is Mick (dr20t) on the forum - he used to have the same engine and knows these inside out. My guess is you'd need E85 to get over 200 with the JDM STi (VF38?) turbo and supporting mods. I'm sure a Garrett GT25xx and supporting mods would get you there on 98 but I don't know if retaining the TMIC would be the best bet - FMIC! I'm not sure what you mean by e85 and 98? Is that the type of tune? CJ06GTSTI wrote: I'm not sure what you mean by e85 and 98? Is that the type of tune? E85 is 85% ethanol, 15% 98RON blend. Usually make 20-25% more power on E85 over 98RON but it has a lot of other benefits besides just the power figure. Try talking to a couple Subaru specific workshops near you, they will have the most experience as they see plenty of cars everyday with all sorts of combinations and has seen what does and doesn't work.